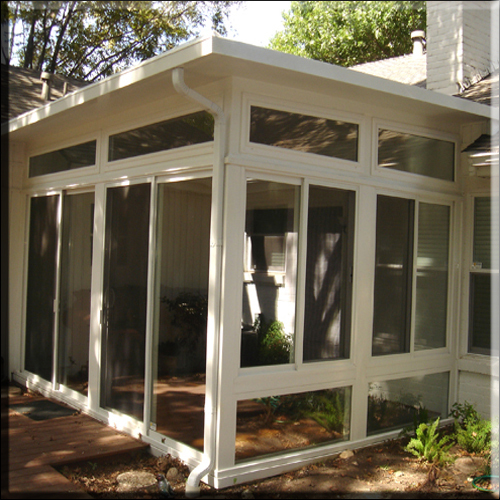 Sunroom design styles | Studio Sun rooms |Sunrooms that have a nearly flat or shed style roof are usually called Studio sunrooms. 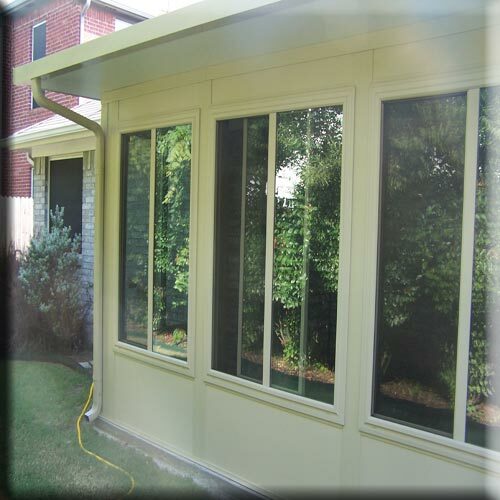 Sunrooms that have a nearly flat or shed style roof are usually called Studio rooms. 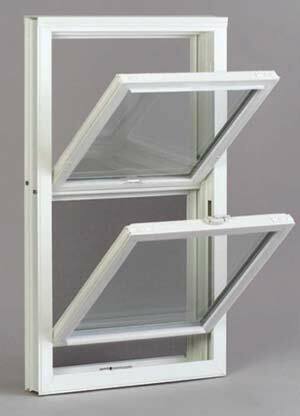 In general, these are the easiest and least expensive to build. 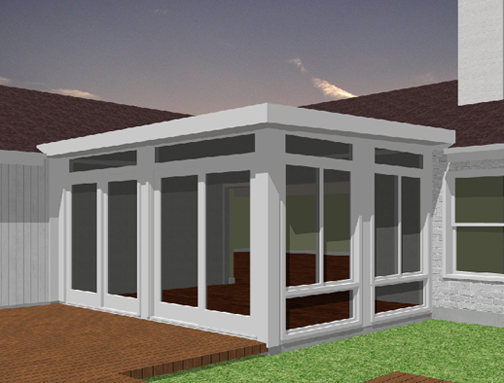 We use a Structurally Insulated Panel (SIP) Roof system that allows to create a very flat, and efficient roof without having to create an extra attic space above rooms. 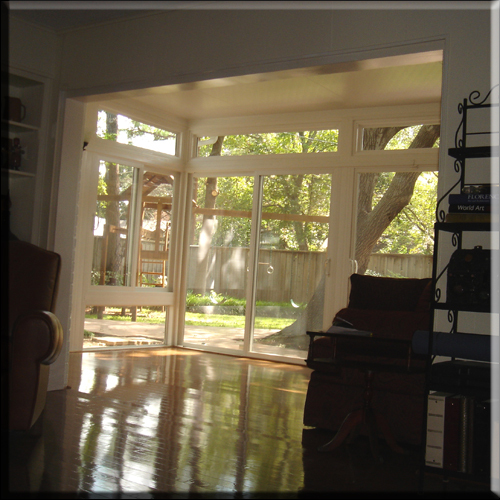 These are views of the interior of the same sunroom showing the entry way from the main living room. 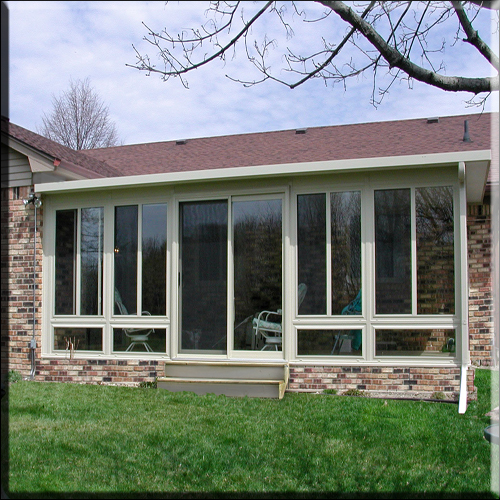 The walls and window frames used for this sunroom are insulated vinyl and vinyl-wood composite w/ state-of-the-art, heat-reflective glass that allows us to open the room to the main home. This is a picture of the interior of the sunroom showing how we finished out the walls after cutting the eaves off of the house and added a new a/c register and duct to heat/cool the room. 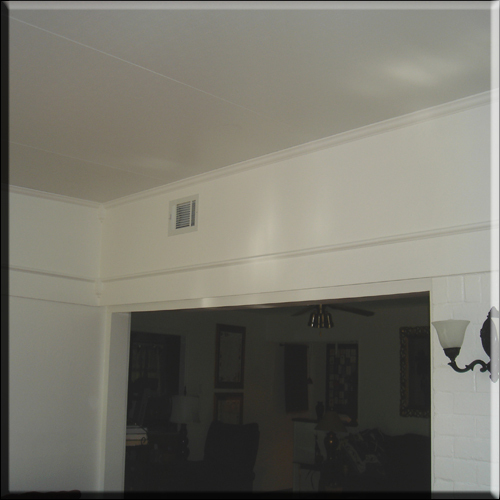 We soemtimes cut the eaves off of the home to allow for a taller ceiling in the sunroom or to give the rooms a more finished appearance. **Note** You should always be very careful if you are going to breakthrough a wall and share climate w/ your main home! 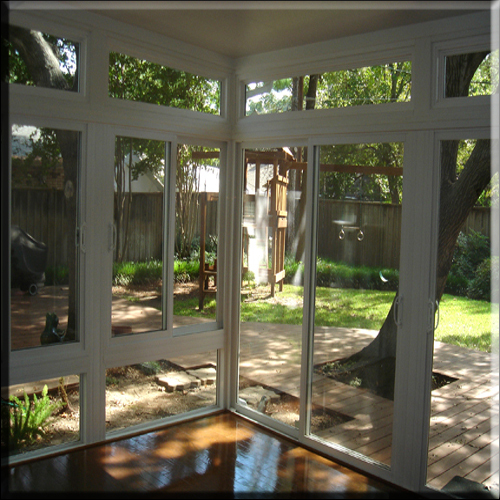 This can only be done if the sunroom you're using is EXTREMELY enegry-efficient and passes all Enegy Code Requirements (Res-Check). 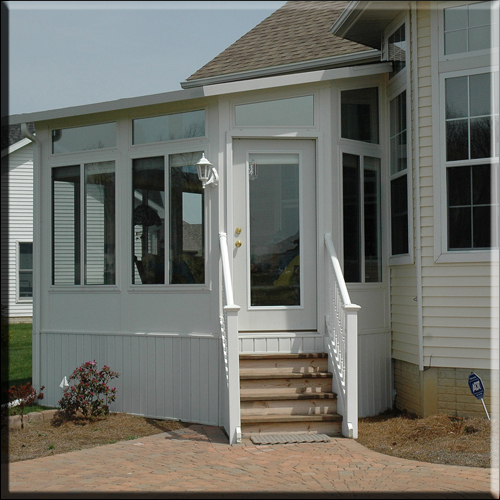 Studio style sunrooms are especially well suited for additions to single-story homes. 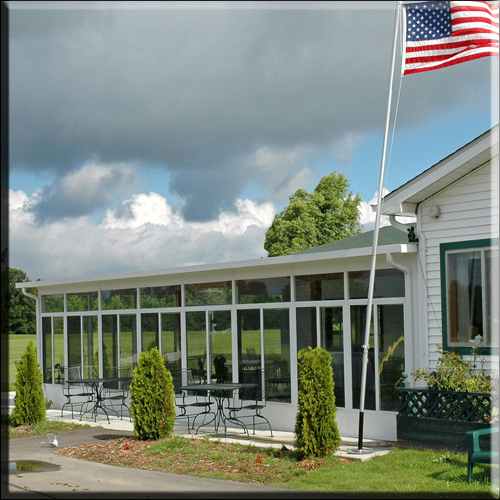 With any type of conventionally built roof system you would have to design a much steeper slope. 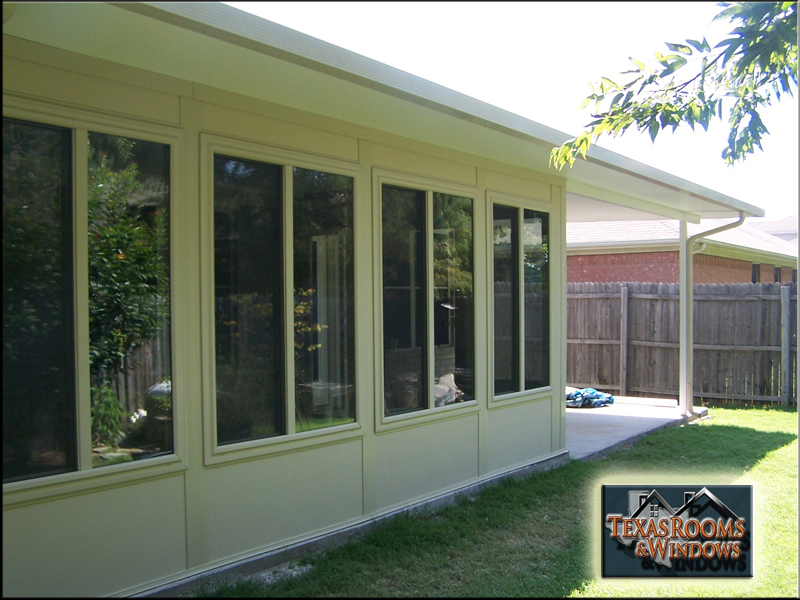 Single-story homes typically do not have sufficient height to attach a conventionally-built roof without building the roof far up into your existing home which is a LOT more expensive and time-consuming if it is done correctly. If it is NOT done incorrectly, there is a huge potential for leaks!